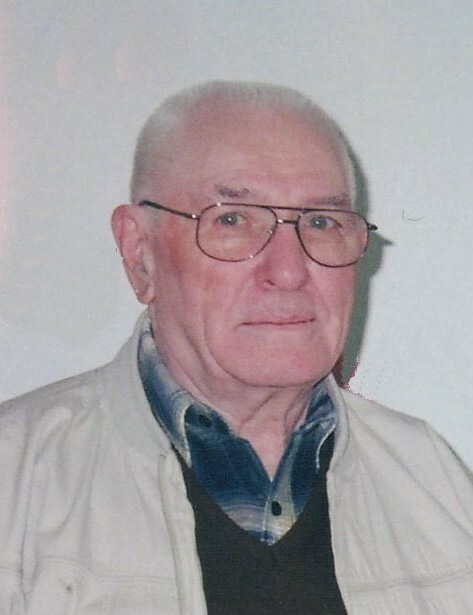 Obituary for Joseph M. Seifert | Timothy A. Berkebile Funeral Home Inc.
Joseph M. Seifert 91 of Bedford, died Monday November 12, 2018 at his residence. He was born on July 14, 1927, in Wolfsburg, a son of the late Martin J. and Eva G. (Clites) Seifert. On April 17, 1947, he married the love of his life, the former Verna L. Mock at Saint Thomas Catholic Church in Bedford. She preceded him in death on April 21, 2017. Joe is survived by a daughter, Charlotte Seifert, of Bedford; a sister, Martha Snyder, of Cleveland, OH; and a brother Jack Seifert widower of Beverly, of Bedford. He was preceded in death by a brother, James Seifert of New Jersey; a sister, Emma Runion of Manns Choice; and a niece and nephew. He served in the Army during WWII, fought in Germany, and earned the rank of Corporal. After his military service, he worked for Harry Horner as a plasterer and tile setter, and later worked for Hammond and May. He was a member of St. Thomas Catholic Church. Joe enjoyed gardening, fixing things, hunting, and watching sports on TV. When his health declined, the thing he missed most was not being able to physically help others.